Timber decking is becoming more popular every year, largely because it has the potential to add an extra element to an outdoor entertaining area. A well-built timber deck can provide a warm and inviting environment for you to entertain friends all year-round – as well as being a great place for you to sit back and relax on those warm summer evenings. 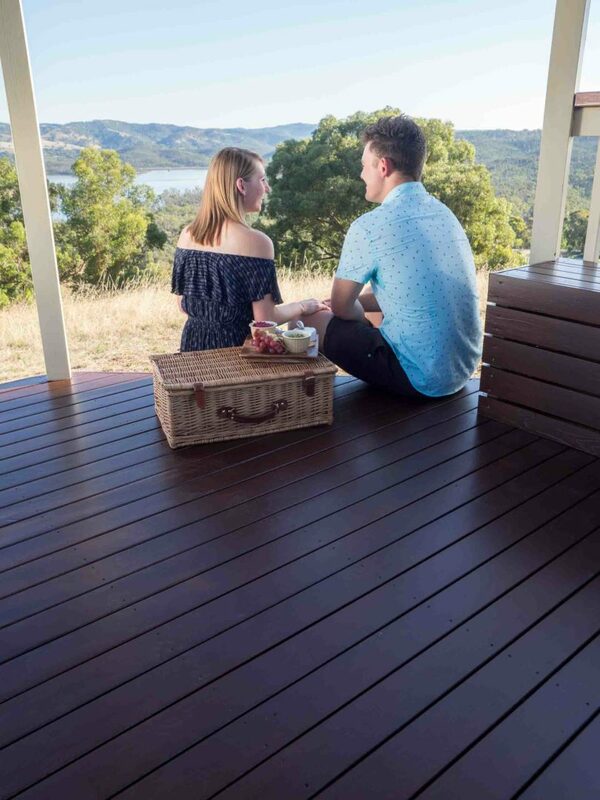 Take it from us – nothing beats the feeling of being able to walk out your back door and enjoy the serenity provided by a timber deck. Relax in style with a timber deck from Australian Outdoor Living. We’ve already touched on it, but a timber deck really is a great spot to sit back and relax! The modern world is a frantic place and commitments such as kids, work, friends and family can all take their toll. It’s important to take some time out of your busy schedule for yourself – and a timber deck is the perfect way to do just that. Stop and enjoy a few moments of tranquility. You’ve earned it. 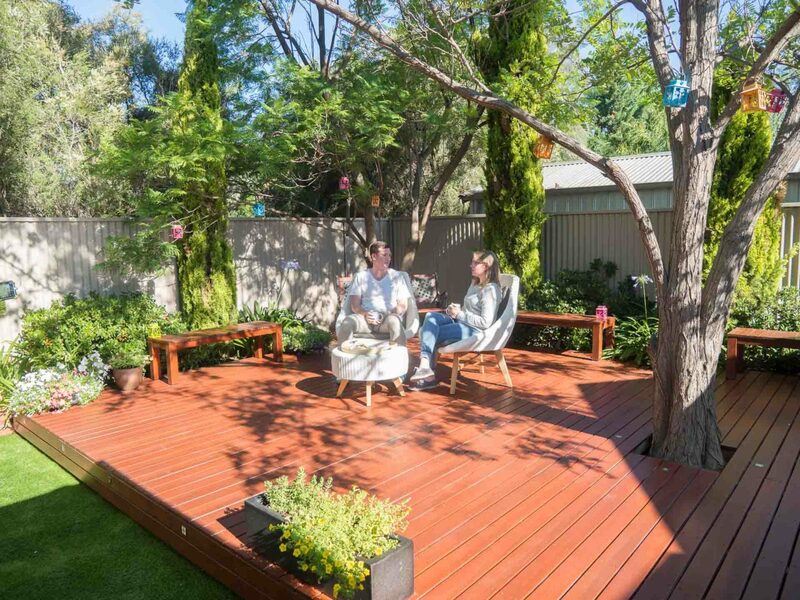 A pristine timber deck in your backyard will increase the value of your home – possibly by as much as 12 per cent! Installing a timber deck is obviously a great move for the here and now, but if you’re ever planning on selling your home it’s a smart investment for the future as well. Since timber is a renewable resource, installing a timber deck won’t be harmful to the environment. It’s important to check that the company you choose uses sustainable methods. Make sure their wood is sourced from managed forests or plantations. You also have the option to use recycled wood – it’s an even greener choice, and it’s cheaper. The best part about timber decks is that they’re strong and durable. Depending on the type of timber you use and how well you maintain it, your deck could last up to 40 years. Your geographical location is important to think about as well, as some timbers are more suited to certain climates. For example, a deck made of Merbau timber will hold up on a property near the beach, while other, less durable timbers won’t last as long. For more information about how to choose the right type of wood for your location, see our comprehensive guide here. Need some help with inspiration? We all need a little push to help get the creative juices from time to time. We’ve installed some picturesque timber decks over the years, so take a look through these pictures and imagine how one might look in your backyard! 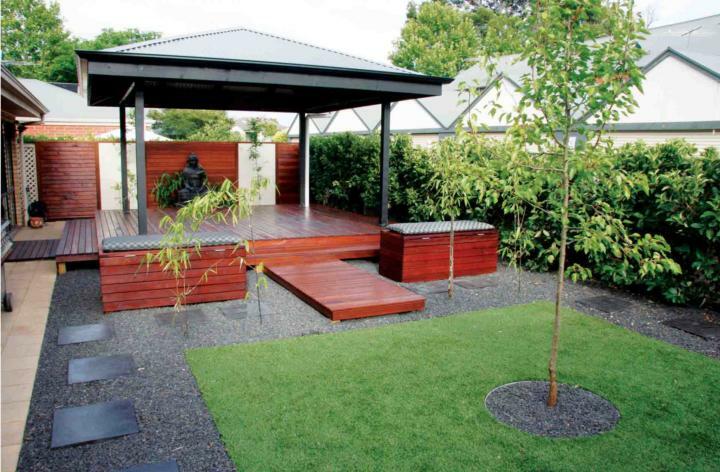 Timber decking pairs beautifully with artificial lawn. We love the way this customer has paired their timber deck with a beautiful patch of artificial lawn. They’ve managed to create their very own little patch of paradise hidden among the trees in their backyard, and it resulted in the perfect place for them to sit back and relax with a book on a spring afternoon. 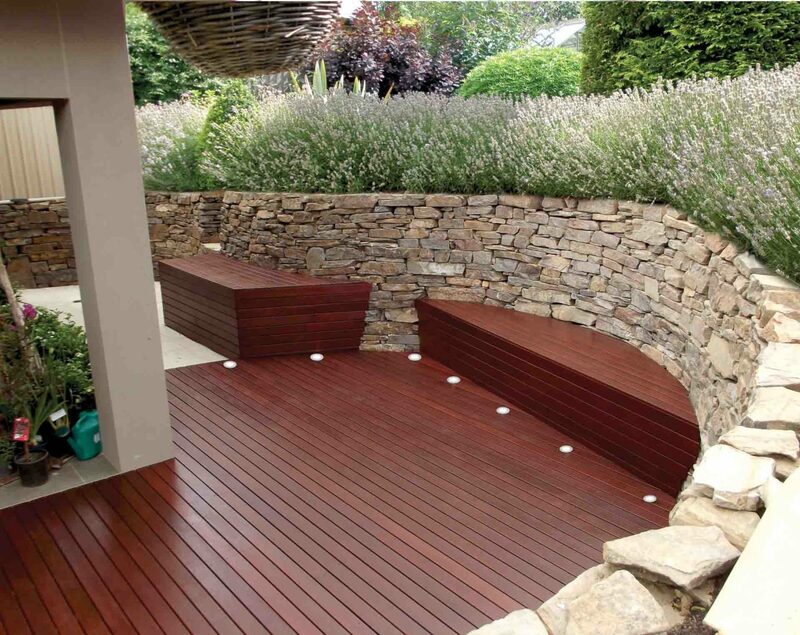 Timber decks can be installed in any backyard, no matter the shape or size. This customer has managed to utilise their limited space and create a comfortable and inviting area for guests. This project just proves that you don’t need a huge amount of space to install a timber deck. All it takes is a little bit of creativity! A standalone pergola paired with a timber deck can add another element to a garden. We love the idea of a standalone structure, especially if it’s paired with a timber deck! This customer has added a raised timber deck to their outdoor area and covered it with a pergola. They’ve created the perfect separate entertaining area, great for having guests over! If you’re after more inspiration, you can check out more photos here.